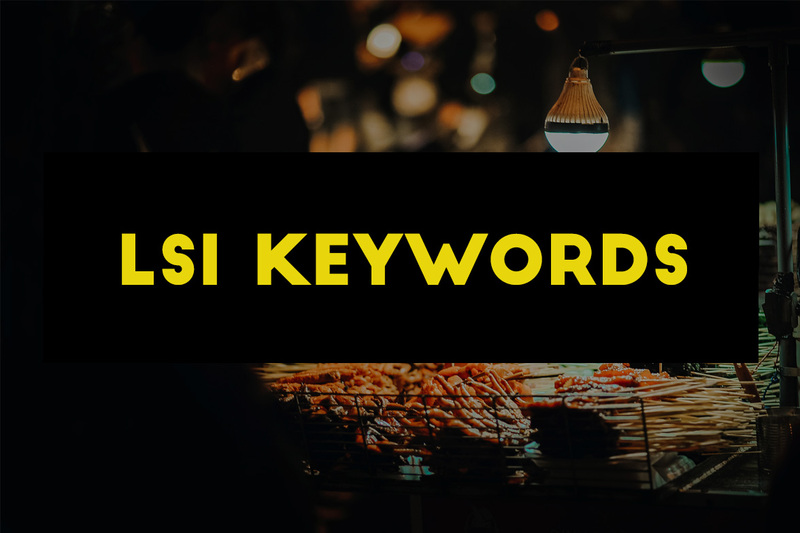 What are LSI Keywords, their role in SEO and where to find them? What is LSI (Latent Semantic indexing) Keywords, their role in SEO and where to find them? Keywords selection is one of the important steps of your SEO plan. Targeting the right keywords helps you reap the fruits of your business whereas missing out those keywords will result in losing money and time. Gone are the old days of the low-quality articles and keyword stuffing. Google flags them as spam sites and eventually, those sites will end up with google penalties. Keyword stuffing no longer worked! Then website owners starting working on keyword density. Keyword density is the percentage of times a keyword or keyword phrase is found in your page content amidst all the other content.For example, a web page with exactly 100 words including a keyword phrase repeated 4 times in that page will have keyword density of 4% for that particular keyword. Different SEO experts gave their ideal keyword density percentage for the best practices even though this video from Google explains that there is no any ideal keyword density for a page. But in the recent years, search engines have been updated to provide better results for the user entered queries. Now with the semantic search, we get more accurate results from the search engines. The search is more about understanding the search phrases provided to the search engines and hence LSI keywords came into practice. 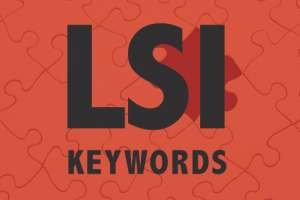 So what is LSI keyword in SEO? In simple words, Latent Semantic Indexing keywords (or LSI keywords) are SEO terms used for related keywords. In other word, LSI keywords are the synonyms and variations of your keyword. You can see these terms on the SERP snippets i.e title, description and url of the search results as well as under the “searches related to” section in the search result page. These are the LSI keywords and are close variations of the word “internet marketing”. Let’s try searching for “apple phone support” in google. It’s obvious we will get urls that point to Apple Inc. support page. The result is pretty straight forward and to the point. Now let’s try “apple health benefits“. We can see a list of sites that provide information about the health benefits of apple. The urls in the search results are talking more about the health benefits provided by apple fruit. How does Google differentiate between a company and a fruit when both have the common name “Apple“? This is where LSI keywords come into play. Any specific term has series of other words, which help to contextualize its meaning. Taking the above example into consideration, if a content is about Apple fruit it is likely and logical to come across words like ‘fruit’, ‘health’, ‘nutrition’, ‘fiber’, ‘flavor’, etc. These are ‘companion’ words, and if we are able to identify such ‘companion’ words for all our keywords and include them in our text, search engines will have more clues to our content. Simply with the LSI keywords present on that particular page, the search engine determines that the search query is referring to a fruit instead of a company. Another way around, “apple phone number” search will be directed towards the webpages that contain more technical terms like customer services, apple support email address, support number etc. LSI keywords make a webpage more relevant to the given topic. Now we know what LSI keywords are. Let’s get to know more about them below. Search Engine uses LSI keywords to get a better understanding of your websites. The quality of content is better with synonyms and variations of your keywords instead of repeating the same keyword again and again. Website owners hate high bounce rate. High bounce rate is a negative signal for SEO. Adding LSI keywords on your blog helps reducing bounce rate by keeping your article to the topic and prevents your page from ranking for wrong keywords. 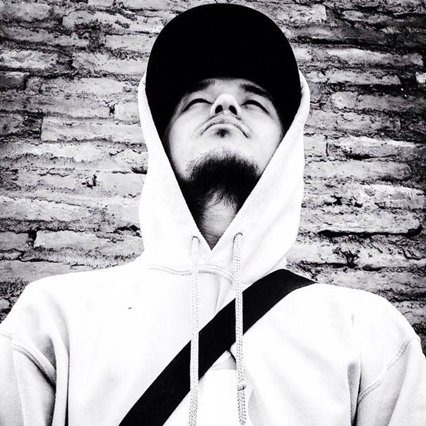 Relevancy of a page to a topic is also a ranking factor. Adding LSI keywords to your site for semantically related searches will rank your pages higher regardless of what keyword you are targeting. There is always an extra room for more keywords to rank. How to find Latent Semantic Indexing keywords? Latent Semantic Indexing keywords are not very difficult to find. The easiest way to find these keywords is to perform some google searches. Don’t be surprised to see that Google search itself one of the biggest sources to find LSI keywords for your needs. Most of the users do not give the needed attention for the latent semantic indexing keywords example that the Google search provides us on each search we perform. So, let’s find out how to use Google search for those keywords. This is one of the best and commonly used tool to find your LSI keywords. This feature of Google search automatically fetches and suggest you different variations of that particular query you enter. You can find at least maximum of 10 different suggestion for any given query. First, you need to make sure that Google Instant Search is turned on. Just type your keyword and you should be able to see the suggestion on a dropdown. You may have noticed that when you search for a query on Google search and then scroll to the bottom of the page you will see at least 8 additional ideas. These “Searches related to” list will appear after you actually trigger a search. These are also the LSI keywords generated and suggested by Google. At times, you may find some keywords that do not make much sense. It’s up to you to make some modification to the keywords and then use them naturally on your page so that it makes sense. This is a partial screenshot of the search result page for the term “internet marketing”. You can see that some of the terms are bolder than the others. Search Engine Results Page (SERP) provides few related terms which are closely related to our keywords that we enter in the search box. These LSI keywords are bold texts present in the meta description of the SERP Snippet. Keyword Planner is one of the best and powerful tools for keyword research. It is free of cost and can be used to find Latent Semantic indexing keywords. Not only that, with this tool you can get an idea about monthly search volume of the particular keywords. Login to your Keyword Planner and enter your keyword. The default tab “Keyword ideas” will provide you a list of keywords under “Keyword (by relevance)” section. You may want to add these to your final list of keywords. If you check under the first tab “Ad group ideas” you will be amazed to see LSI keywords grouped under the suggested keywords. 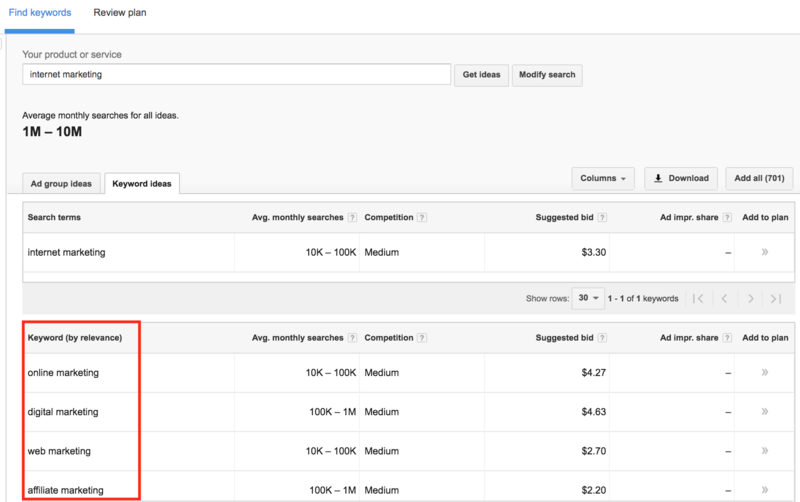 Each of the keywords is related to the query that you entered in the keyword planner. And there is a group of LSI keywords present under those suggested keywords. You can more additional information about the search volumes, competition and CPC cost. 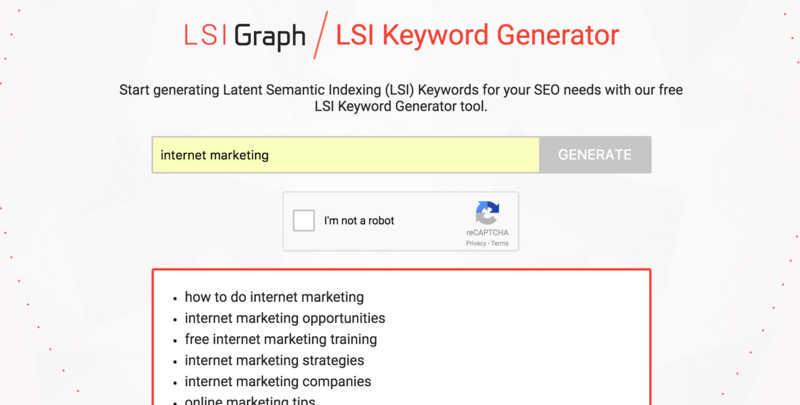 Another free LSI keywords generator tool. Open lsigraph.com and enter your keyword. Hit “Generate” and let this tool find LSI keywords for you. SEMrush is one of the best tools to find keyword ideas. This excellent tool also provides a feature to discover some LSI keywords. 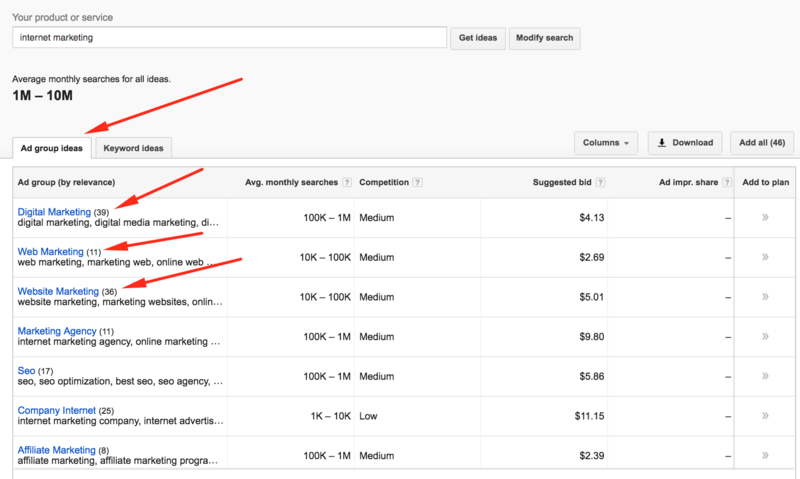 The Related Keywords tab provides a report about related keywords that are similar to your main keywords. These keywords fit in perfectly with the Google that has now moved to semantic search practices. How to use LSI keywords for best SEO practice? In the sections above we learned about LSI keywords and how to find them. Now with your final LSI keywords list in hand, it’s time to implement them on your sites. LSI keywords are mostly used to optimize your on-page SEO since we want to focus on the authority of the topic. Sprinkle your LSI keywords all over the contents. Using this practice avoids keyword stuffing and the blog post appears more appealing and natural. Title Tag – Use your most relevant LSI keywords along with your main keyword in the title. Description Tag – In one of the section above we learned how to find LSI keyword ideas through SERP snippets. A well-optimized meta description gets more CTR(click through ratio). Anchor Texts – Anchor text is a perfect place for you to use your LSI keywords. Instead of anchoring your main keyword, anchoring an LSI keyword tends to make an anchor text much more believable. Images: Make use of images to implement your LSI keywords. Optimize your image name and alt text using these keywords. There is no better way than using LSI keywords to avoid keyword stuffing and making your content more relevant to the keyword. Proper use of LSI keywords will make your content natural and SEO friendly. Make your readers the first priority and then the search engines. Your readers will love if your content is authoritative and so will the search engines. LSI keywords can be used for your long term SEO goals. Properly use of these type of keywords will not only boost up your rankings but also comply with search engine algorithm updates in near future. Hope the things you learned above will help you succeed with your SEO goals ahead. It’s a win-win for you, your readers and Google as well. Are you making full use of LSI keywords in your content? Do you have your personal favorite tool that generates LSI keywords? Do you have any success story to share about LSI keywords?